Geothermal Heat Pump and Air Conditioning System Installation | Atlas L.C. Atlas L.C. Heating and Air Conditioning has been designing and installing geothermal heat pump systemsl and custom heating and air conditioning systems in Northern Virginia since 1986. We install these systems in everything from commercial office buildings to single family homes. We specialize in installing heating and air conditioning units where no previous systems existed. If you have been told your home cannot have central air or heat - get a second opinion from us!!! Our ability to tailor efficient climate control to the needs of our customers makes us second to none in the industry. Most of our new installations are backed by a five (5) year parts warranty and a two (2) year labor warranty at no extra charge. We are licensed by the Commonwealth of Virginia in HVAC, Electrical and are also certified by the ASE Refrigerant Recovery & Recycling Program. We carry a Tradesman certification by the Department of Professional & Occupational Regulation Board For Contractors with trade designations of Master HVAC and Master Electrician. Look us up. Our license # is: 2705010711. Our credentials combined with honesty and dependability makes Atlas L.C. 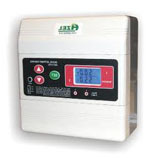 the best choice for your climate control needs. 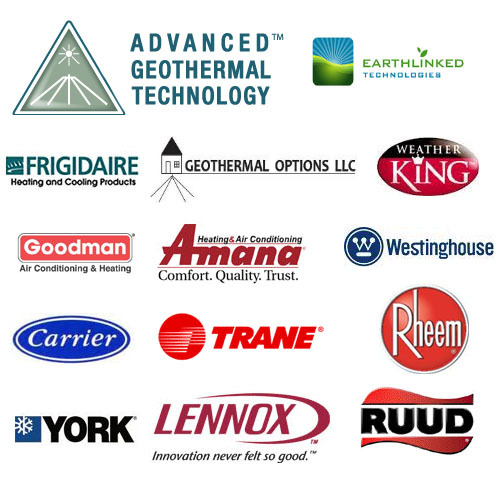 Here is a small list of the geothermal heat pumps, air conditioning, and heating products we service!